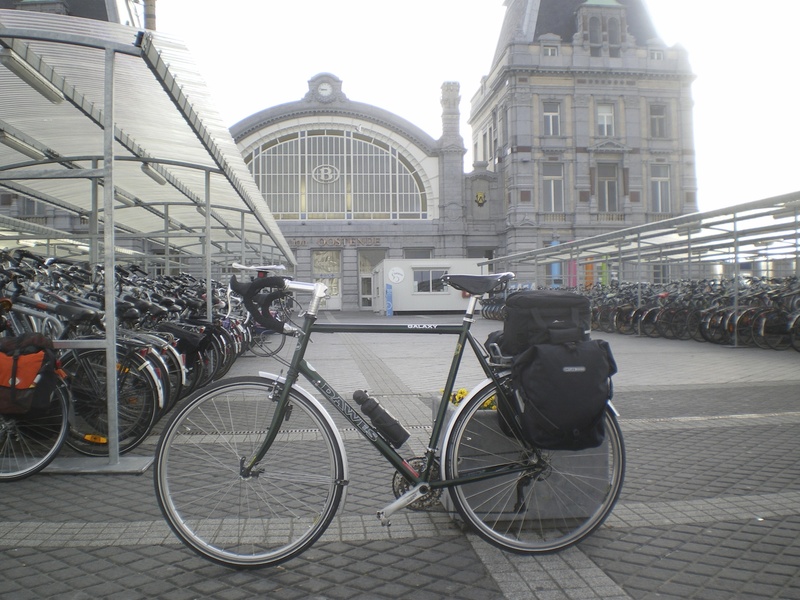 Ian and I were the first to arrive at Oostende station for the day’s public-transport leg having extracted our bikes from the hotel without, again, arousing the suspicion of the reception staff, and marvelled at the scale of the cycle parking that SNCB lays on for its customers. 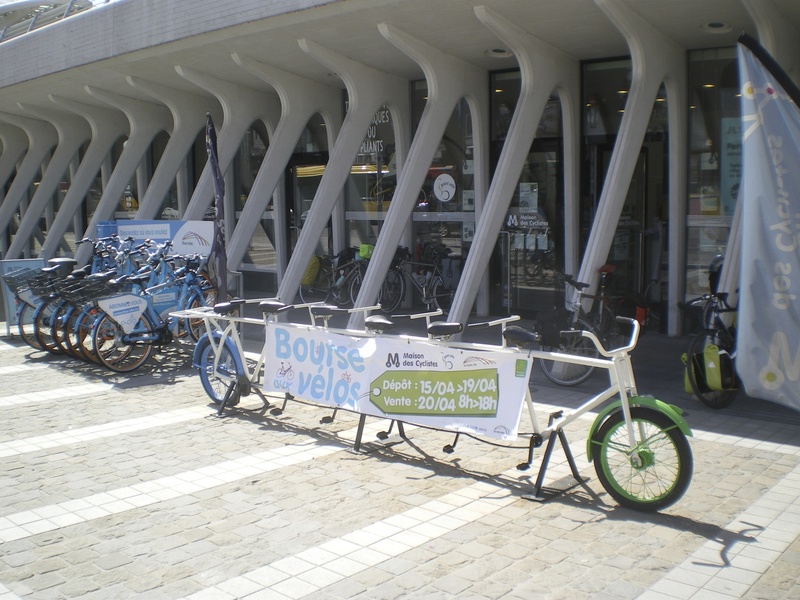 After talking to some helpful station staff, we were told that there is a special compartment on the trains, with an oddly shaped door, that takes two bikes. The other four? “Should not be a problem”. And so it proved, the SNCB staff being incredibly helpful both on this train and on the ones that brought us back from Germany. We were, predictably, by the area set aside for wheelchair users and had some good conversation once underway, firstly with a Belgian lady who was busy learning Italian as that’s where her daughter was now living, and later with the chaperones of some young children who were on their way to a Kandinsky exhibition in Brussels. (The train stopped at Brussels Midi/Zuid, for the Eurostar, Brussels Central, which is entirely underground, and Brussels Nord where the EU has many of its buildings. We felt quite at home). 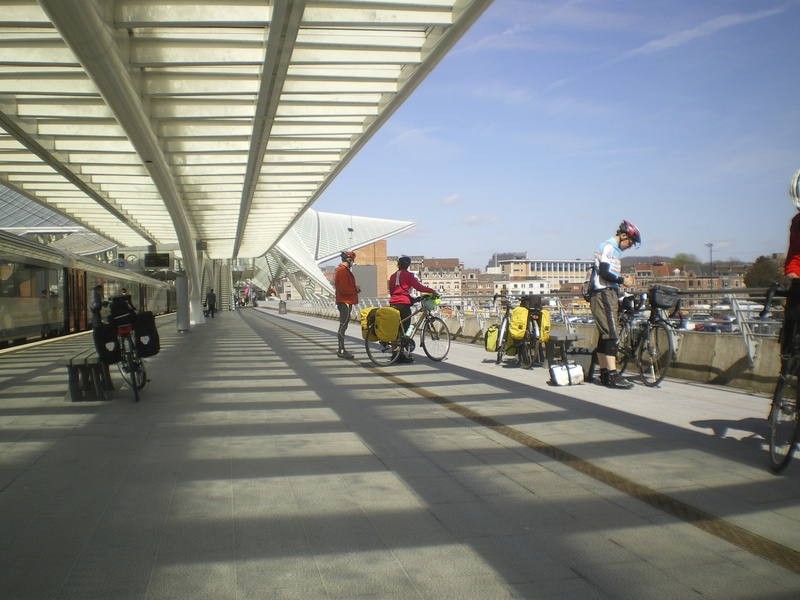 The train staff assured us that they’d let the bikes out at Liège, which they duly did, and we left the modernist, almost brand-spanking-new, station there to call in at the “Maison des Cyclistes” for some advice then promptly got lost in the road works in the town centre. Such is life. We tucked into lunch, and beer, in the Outremeuse district before Phil led us out of town on a combination of main roads and steep, cobbled, side-streets to our route through eastern Belgium: Ligne 38, a Sustrans-style, paved ex-railway line that guided us safely through the suburbs and out into the Ardennnes countryside. Progress was good, if a little warm (did I mention it was warm?) once we cleared the main population centres but we were to learn lessons about Belgian shortcuts in the town of Battice. The trackbed made rather a large loop and, with time pressing, Phil had decided to try the road for a while to cut the loop off. Here we discovered that not all Belgian roads are cyclist-friendly, this one carrying lots of HGV traffic straight from the Autoroute along quite a narrow, fast road. Back to the track! but at least we tried. Some way out in the back country, the surface deteriorated into badly-rutted hardpack that brought our speed down a tad but we did pass through the town of Hombourg before picking up quiet lanes towards our next border crossing. 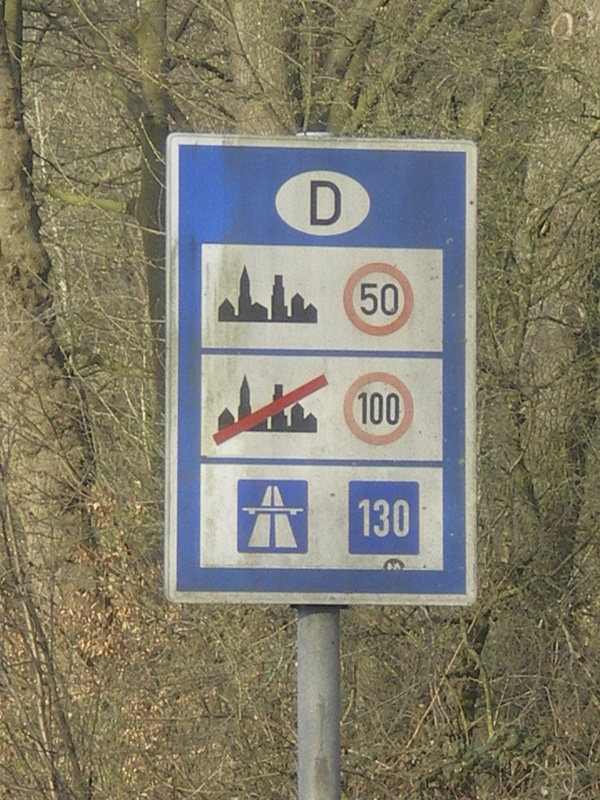 In the formerly-independent district of Moresnet, we hit the main road again, complete with cycle-path, and saw a big sign telling us that the Bundesrepublik of Deutschland was a mere 1100m away. Never did see the border itself, although there was some kind of flag garden in the middle of the road a bit further on. The biggest giveaway that we’d crossed the border was that the signs on the bus-stops had changed! But we still had one more hill to deal with before we could claim to have reached our target: the ancient city of Aachen (or Aix-la-Chapelle as it has sometimes been know). 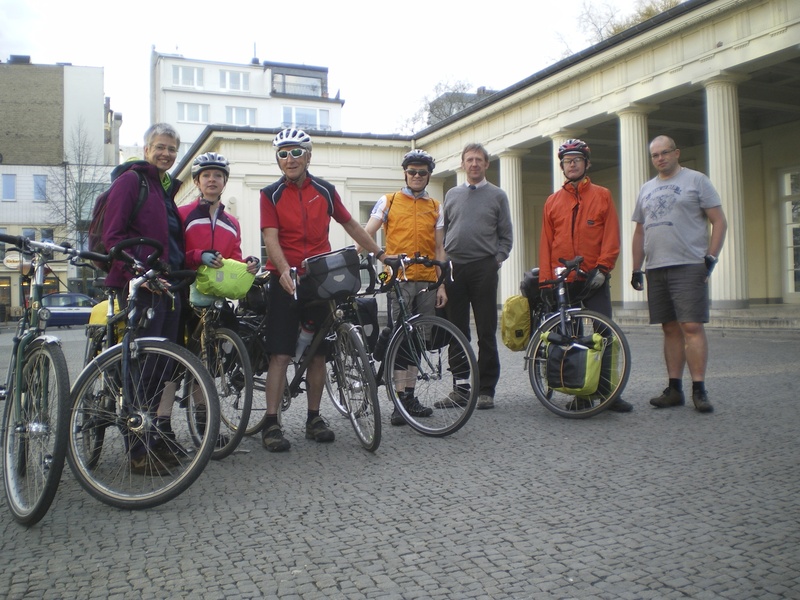 Phil made a couple of calls to advise our hosts of our progress, and we made the last climb of the day before shooting down the other side and through the back streets to the Elisenbrunnen, one source of Aachen’s famous spa waters, to meet up with our new-found friends in the ADFC. Sabine – Ian and Alex’s host – was there waiting for us as was Ulrich Weber, a long-standing friend of Philip’s and long-serving member of Aachen’s ADFC chapter. Ulrich very kindly escorted Dave and I out to our host’s home as they were busy with the evening family routine (and in true CTC style, we were running a little late), and so each of us finally made it to our intended destinations that evening. Our hosts were simply wonderful. Cyclists of many decades standing and so helpful to complete strangers. 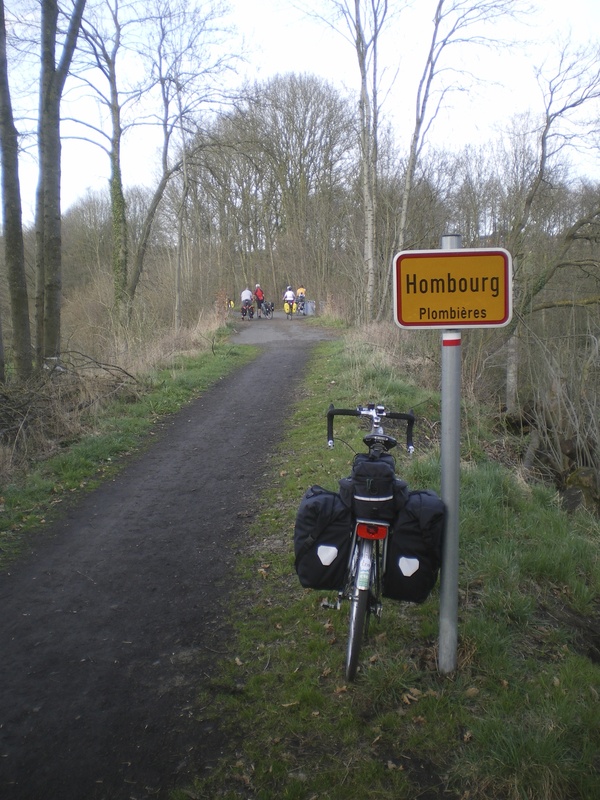 Our Endomondo route from Liège to Aachen is here – 42 miles. 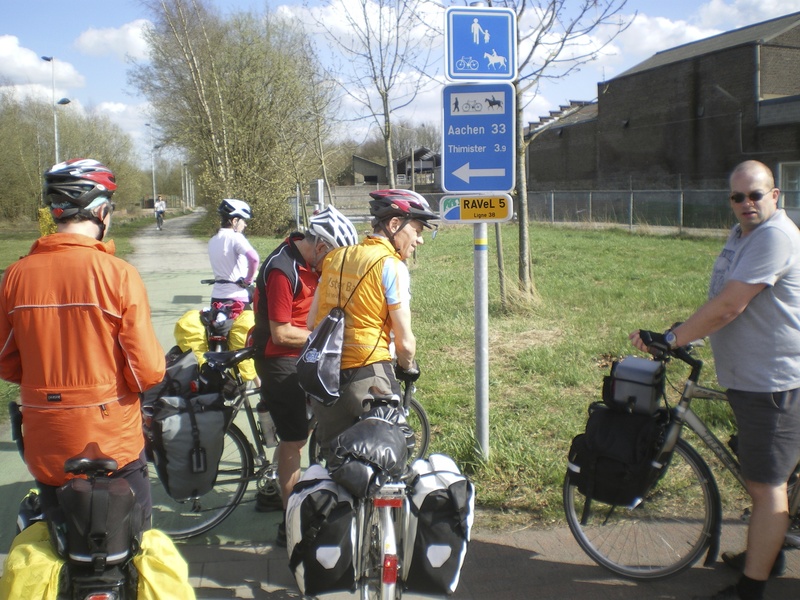 This entry was posted in ADFC, ADFC Aachen, CTC Northampton, CTC Tour to Aachen, cycling and tagged Aachen, Battice, CTC, Hombourg, Liège, Ligne 38, Moresnet, Northampton, Ostend by ianmac55. Bookmark the permalink.